ondon’s Metropolitan Police commissioner announced that the Muslim community attending prayers will see police protection in the wake of a man driving a van into a crowd of people outside a mosque in what authorities are calling a terrorist attack. 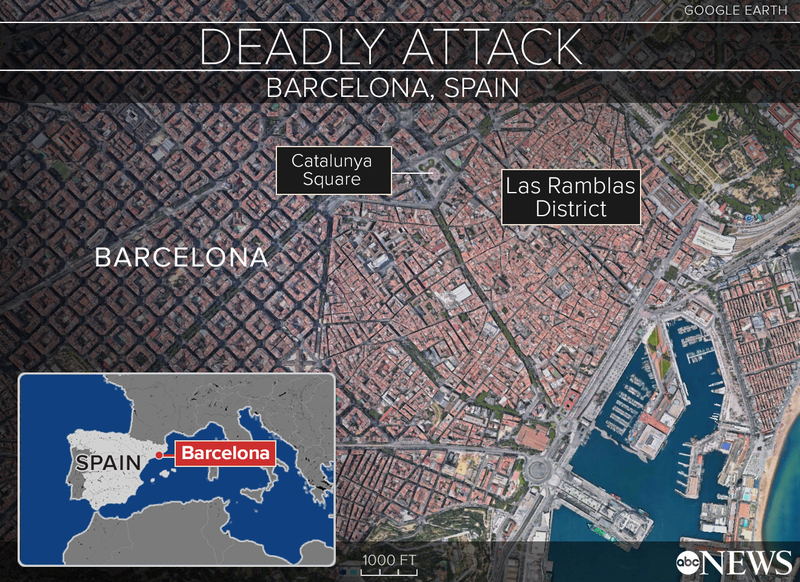 One person who had been receiving first aid before the attack, which occurred just after midnight prayers on Monday, died on the scene, but it is unclear at this time whether he died as a result of what took place. 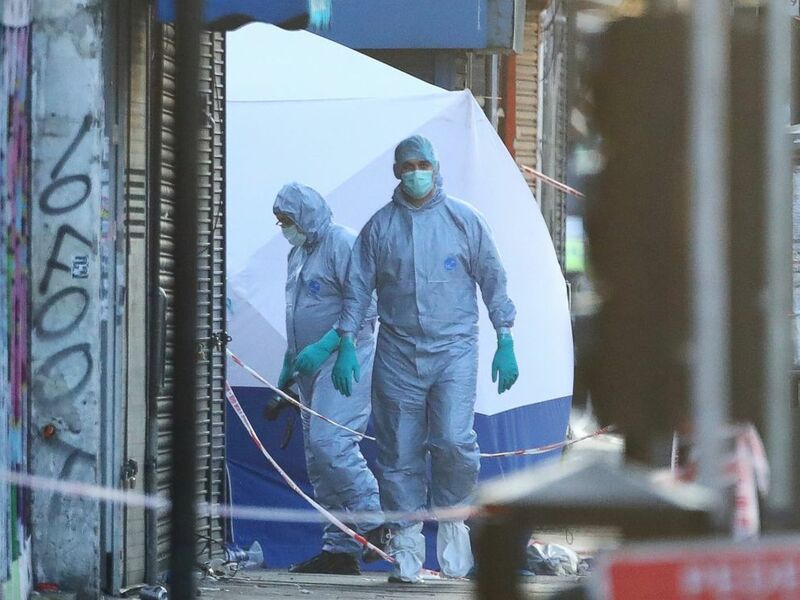 At least 11 people were injured in the incident, and the London Ambulance Service said in a statement today that it took nine patients to three hospitals in the city and treated others at the scene for minor injuries. A 47-year-old man has been arrested for attempted murder and on suspicion of terrorism offenses, police said today in a statement. He was taken to a south London police station where he remains in custody, police said. Forensic and police officers attend to the scene after a vehicle collided with pedestrians in the Finsbury Park neighborhood of North London, June 19, 2017. “It doesn’t matter whether you’re inspired by a perverse force of Islam — a perverse version of Islam — or by you’re inspired by some other motives to try and terrorize others. The intention is the same, to divide communities, to make us stop leading the lives that we do,” he said. Khan said there has been a spike in hate crime, including against Muslims, since the recent London bridge attack on June 3. Seven people died and dozens more were injured in that attack two weeks ago, which authorities said was committed by three men and for which ISIS claimed responsibility. In the attack early Monday, eyewitnesses interviewed by ABC News said people had gathered outside the mosque after prayers when the van drove into them. A man identified as Jermain Jackman told the BBC the sidewalks were “packed with people walking home” when the incident occurred. 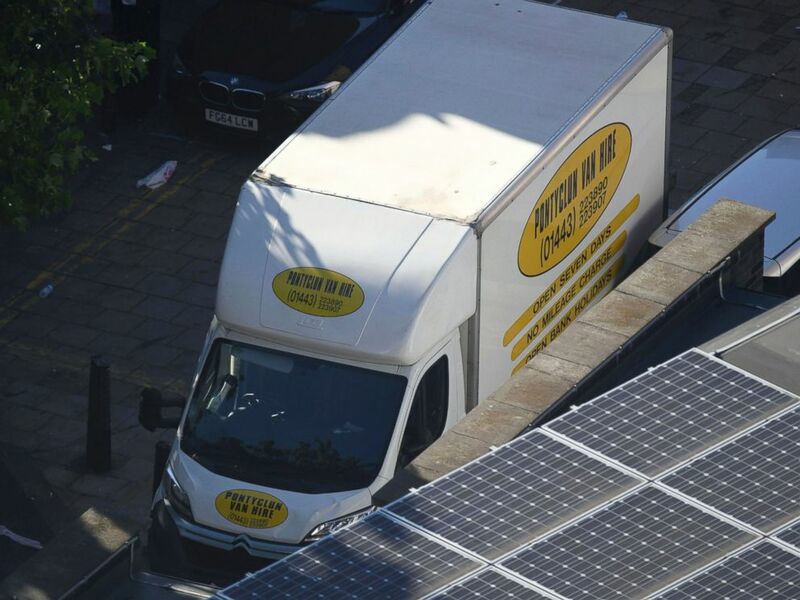 “It was a van that mounted the pavement as men and women were leaving the mosque to go home to their families and friends and their loved ones,” Jackson said. The Muslim Council of Britain called the incident a “terror attack” and the “most violent manifestation” of Islamophobia. Muslims pray on a sidewalk in the Finsbury Park area of north London after a vehicle hit pedestrians, on June 19, 2017. 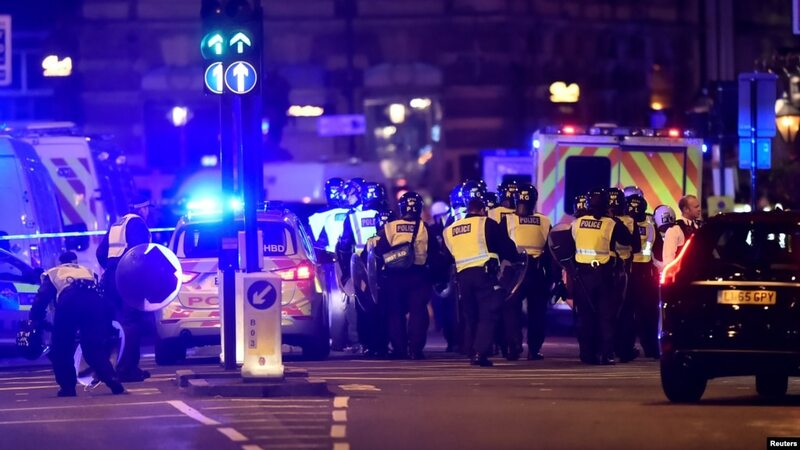 “During the night, ordinary British citizens were set upon while they were going about their lives, completing their night worship,” the Muslim Council said in a statement, adding that “Muslims have endured many incidents of Islamophobia” over the past weeks and months. “We urge calm as the investigation establishes the full facts, and in these last days of Ramadan, pray for those affected and for justice,” the statement concluded. 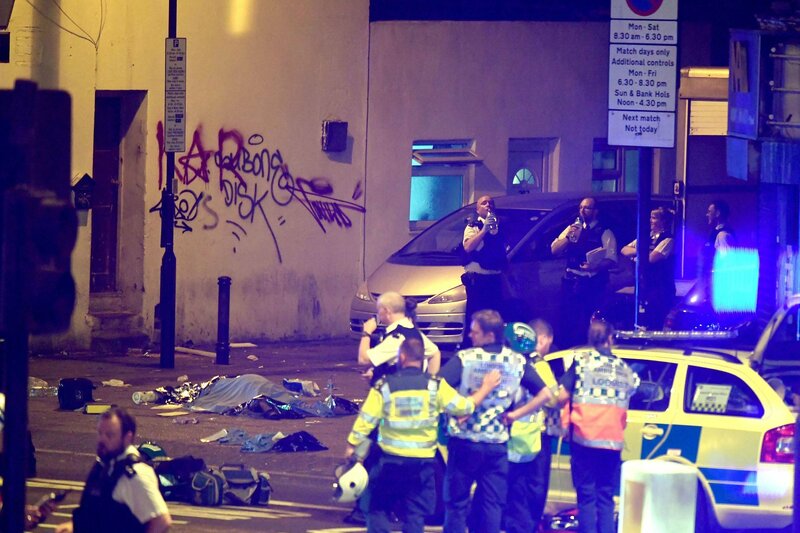 Shortly after the incident took place, Khan referred to it as a “horrific terrorist attack” and “a deliberate attack on innocent Londoners, many of whom were finishing prayers during the holy month of Ramadan. “While this appears to be an attack on a particular community, like the terrible attacks in Manchester, Westminster and London Bridge it is also an assault on all our shared values of tolerance, freedom and respect,” the mayor said in a statement. A van is seen at Finsbury Park in north London, June 19, 2017. Monday’s violence was targeted at Muslims who were outside the Muslim Welfare House, near the Finsbury Park Mosque. The Finsbury Park Mosque, which opened in 1988, is where Abu Hamza, an Egyptian cleric and a believer in Islamic fundamentalism and militant Islamism, once preached. Hamza was convicted in federal court in Manhattan and sentenced to two consecutive life sentences for terrorism related charges in 2015. Monday’s episode outside the Muslim Welfare House is the fourth such terrorist attack to strike the U.K. in 2017. In the attack on London Bridge on June 3, a van first rammed pedestrians on the bridge, then continued to nearby Borough Market, where three men exited the vehicle and stabbed several people, according to authorities. The three suspects were shot dead by police. There was also an attack at an Ariana Grande concert in Manchester on May 22 when a suicide bomber set off an explosion that killed more than 20 people and left dozens more injured. And an attack at Westminster Bridge on March 22 killed five people including a police officer and injured dozens of others. Alexander Meleagrou-Hitchens, the research director of the Program on Extremism at George Washington University, told ABC News after the attack on London Bridge that defending against terrorist attacks in the modern era was particularly challenging. 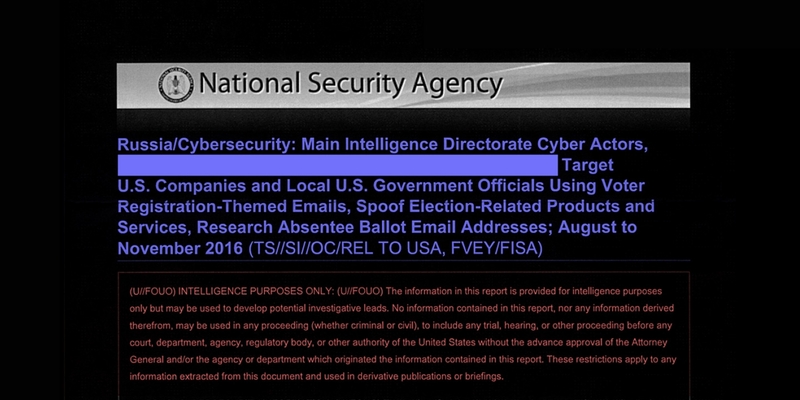 ABC News’ Joshua Hoyos, Rex Sakamoto and The Associated Press contributed to this report.